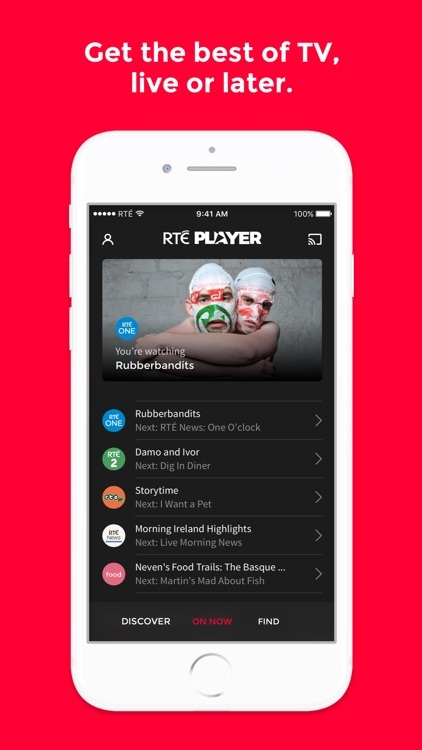 Watch the best of programmes broadcast on RTÉ Television with the RTÉ Player App. 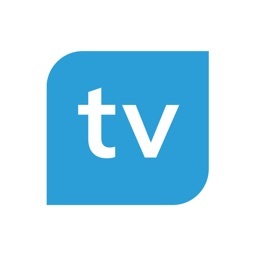 You can watch selected programmes live from RTÉ One, RTÉ 2 and RTÉ News Now plus catch up on a wide selection of programmes broadcast on RTÉ Television for up to 21 days after transmission. 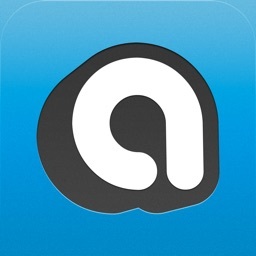 Social sharing features allow you to share programmes via email, Facebook and Twitter. 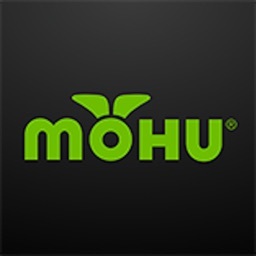 You can browse programmes by name, category, date or latest. 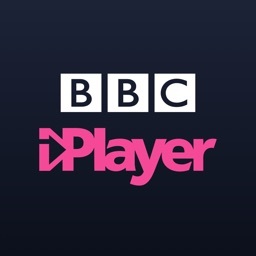 You can save programmes as a favourite and pick up on a programme where you last viewed. 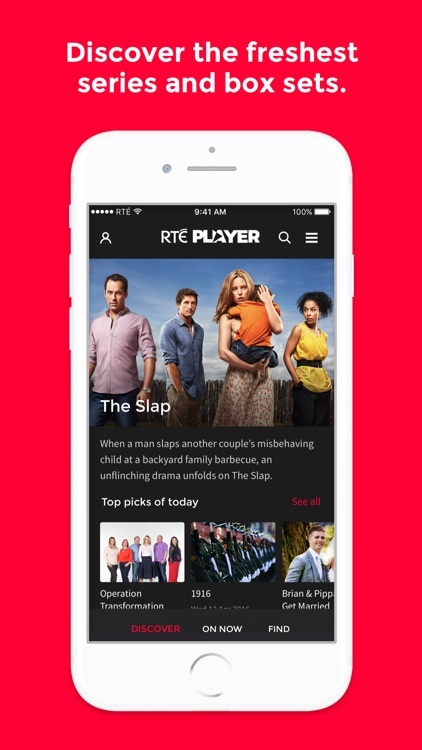 The RTÉ Player App supports AirPlay so you can watch programmes on the big screen using Apple TV. While most RTÉ Player content can be accessed through the app, some programmes may not be available due to rights restrictions. We are continually looking to clear rights and add new programmes. 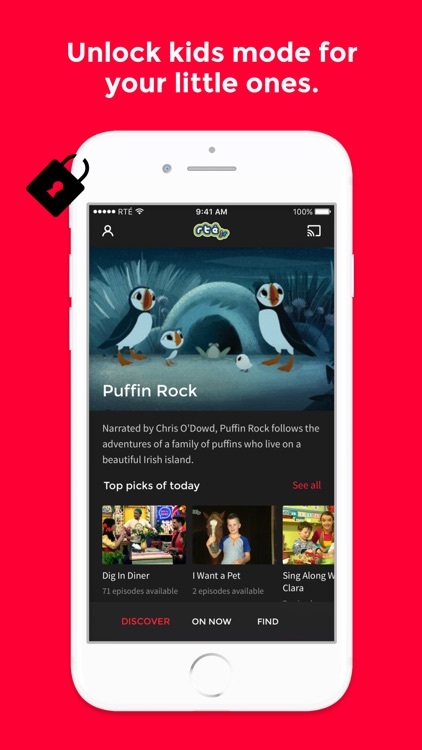 The RTÉ Player App uses streaming technology which means that you must be connected to the Internet in order to watch programmes. 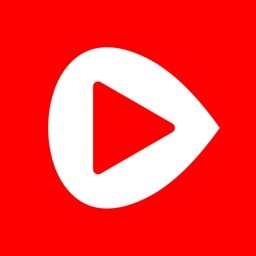 The app will automatically adjust video quality based on the speed of your WiFi connection. 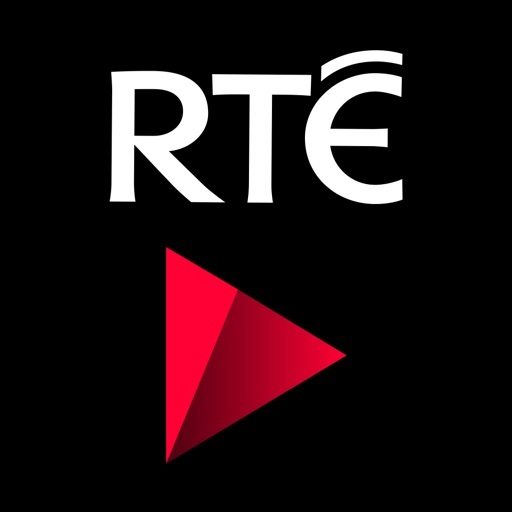 We hope you enjoy using the RTÉ Player.